They call it “the scandal”. And in Bethel church in Bristol, two independent advisers to the Home Office called on those who had been blighted by it to testify. Sitting in front of a sign that read “Moving forward – together in faith” and a union flag propped alongside a Jamaican flag, they appealed to the orphans of empire to share details of how the place their parents had referred to as the “Mother Country” had abandoned them. In a tone owing more to bewilderment than belligerence, they stepped up. And the man who came from Jamaica 50 years ago when he was 13, and has great-grandchildren here, who found himself in prison on remand following a mental breakdown. All of the charges against him were dropped but his application for citizenship was denied anyway because he had been in prison. And the man with 12 children who came as a seven-year-old and was too focused on work to worry about the citizenship he assumed he already had who now finds himself in limbo. “Where does that leave me now?” he asked. “All that we went through – we didn’t have to go through.” Said the man who came as an infant, and spent the last decade shuttling from law centres to advice centres as a citizen without status and an immigrant who had never left the country. The Windrush Learning Review sessions that are taking place throughout the country are consultative events aimed at informing an independent review and helping to frame a compensation scheme. But they bear some resemblance to a truth and reconciliation commission. The testimony of ordinary people to state malpractice; the revelations of egregious injustices that were hidden in plain sight; the reckoning that today’s “scandal” was yesterday’s official policy; the distressing individual stories made possible by wilful institutional neglect. Were it not for the fact that the participants need the option of anonymity, the hearings should be televised. For it is in the unmediated bearing of witness of these Britons that the human cost of a malicious immigration policy might be more fully understood. It should be televised because the people who need to see it, were not there – those for whom immigrants are faceless, threatening figures without family, ambition or story. Because while there is truth here – and in time for some compensation – there is no reconciliation. Historically, Britain has not reconciled itself to its colonial past and its consequent current obligations. Politically, it has not reconciled itself to the racism in its immigration laws and practices that made this scandal possible. But more urgently the government has failed to fully reconcile itself to the ongoing scandal, the true scale of which is only now beginning to become apparent. 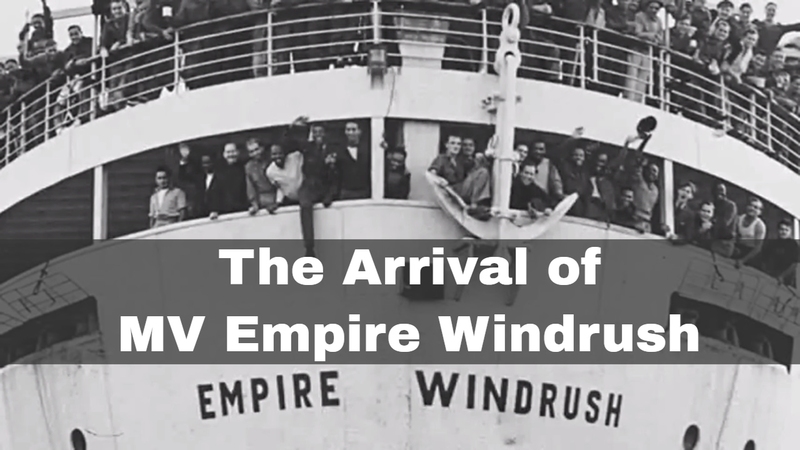 The country has moved on from its embrace of the “worthy immigrants” in April, during which the Windrush generation were elevated to the status of a national treasure, and the outrage that such things could happen. The immigration debate, if we can call it that, has reverted to caps, labour shortages, skills and numbers, as though the lessons of Windrush never happened. Meanwhile, many in the Windrush generation cannot move on because they have literally been stuck where their mistreatment left them. The day before the Bristol hearings Sarah O’Connor died in Dagenham, east London. O’Connor came to Britain when she was six. She attended primary school and secondary school, married a Briton, worked and raised four children over 51 years. After she was wrongly decreed an illegal immigrant, she lost her right to benefits and had to rely on her daughter to live. In July, after “the scandal” broke, she was finally recognised as British at a naturalisation ceremony. But right up until her untimely death she was still dealing with a notice to leave from her landlord, lack of work and difficulty finding a new house as a result of what the government had done to her. At a hearing in Brent, London, George Poleon, 65, who arrived in Britain from St Lucia as a teenager in 1968, said he was living in a charity hostel, unable to work, claim benefits or open a bank account and therefore struggling to access his pension because he had still not been classified as a British national. The government now concedes that it either deported – or wrongly refused the right to return – 83 people who had the right to be in Britain. According to the Jamaican foreign minister, three of those have already died. Others are living in virtual destitution in countries where they don’t know anybody. Then there are 32 who have committed serious offences. The home secretary, Sajid Javid, said he does not want them back. That is no less scandalous than any of the others and shows he still doesn’t get it. They’re either citizens or they’re not. The punishment for crime is prison, community service or a fine. Unless Javid wants to take us back to the 19th century, it’s not deportation. These hearings, reversals in decisions and potential compensation are the product of public pressure. How well these people are treated now, how much support they are given in the short term, who is allowed back and on what terms, is contingent on that pressure remaining firm. My colleague Amelia Gentleman wrote about these cases for six months before either the Home Office or the public at large recognised them for the scandal they are. Amber Rudd resigned as home secretary and changes were made. Having lost its innocence about how immigrants are treated once, let’s not wait another six months so the nation can find it and lose it again. Sarah O’Connor was found dead at her home on Sunday morning. A post-mortem will be held on Friday, but her death has provisionally been attributed to natural causes. In March, O’Connor told the Guardian she was facing bankruptcy as a result of being classified as an illegal immigrant. At the start of this year, she was so worried about her predicament that she said she was afraid to open the front door for fear that it might be the Home Office coming to deport her, or bailiffs arriving to remove her possessions. She moved to Britain 51 years ago, but had struggled to make officials understand she was in the country legally. As a result, O’Connor was unable to take up a new job and was refused unemployment benefits, leaving her without an income. She spent the final year of her life trying to extract herself from a vortex that emerged because of an official decision to categorise her as an illegal immigrant. Although O’Connor went through a naturalisation ceremony at the end of July and was formally recognised as British, her problems continued. In the weeks before she died, her landlord had given her notice to leave and, still struggling to get work, she was having difficulty finding a new home. Her daughter, Stephanie O’Connor, said her mother had been relieved to have been through the naturalisation ceremony, but also annoyed it had been necessary. “She was so happy to have finally got somewhere; we’d been banging our heads against the wall for so long. But she had mixed emotions about it – she felt she should always have had it,” her daughter said. She had worked continuously, at times for Ford in Dagenham and in retail, paying taxes and national insurance contributions. She had never been on holiday abroad, so had not seen the need to apply for a British passport. O’Connor could not understand why her immigration status was being questioned. We hear a lot and focus a lot about what happens to people in other countries, situations or whatever. Who would have known or believed that this was happening to our people? How come this didn’t come to light until ‘now’? Is this a variation of slavery where you were needed to build the post office, the transportation system and the health care system then cast aside? At the Salzburg Brexit Summit, this week – How far, in the sweep of history, will the ill-tempered failure of this summit be seen as determining what happened next? Huge and often hidden forces impel events, and your Mays, Macrons and Merkels are just the choppy surface waves betraying powerful currents beneath. It is about one of these currents, IMMIGRATION, that I’m writing today. My guess is that this latest Brexit storm will abate and then we will be back to fashioning a messy postponement of the big issues, to be presented to parliament before Christmas. May got it wrong this week, and this year, but there are bigger reasons than her own incompetence for the latest impasse. So, let’s pull back from the scrap in Salzburg and ask a different question. Why were May’s fellow heads of government hot and bothered by the time they turned on her, and on Brexit? And why has May impaled herself on the “red lines” that left her so little room for manoeuvre before Salzburg, infuriating everyone by her obstinacy? Both questions are answered by one word: MIGRATION. This is the deep, underlying current. Migration is an even bigger issue for EU leaders than Brexit, and troubles the union and its governing parties deeply. And it explains the “red lines” in May’s foolish Lancaster House speech last year. Like David Cameron before her, she was trying to keep her party’s Ukip tendencies at bay. Ukip – whatever its apologists pretend – was mainly about immigration. If you think “taking back control” referred to lawnmower noise limits you’re missing something big. Here, then, is the deep and powerful current on which your Mays and Merkels bob almost helplessly. A strong resistance to mass immigration has built up in our country and the rest of Europe in recent years. You may think it unreasonable and you may think it ill informed but it’s a political fact which I doubt can be argued out of existence. “Europe”, the source of much conspicuous immigration to Britain in recent years, has become the lightning conductor but the electrical charge has other origins and they are something to do with culture, with race, with religion, with Islamist terrorism and with welfare dependency. There are truths that make uncomfortable reading for liberals like me. I refer to the Migration Advisory Committee’s report, published this week. The Times offered a careful outline but there was something we made little of, which to many readers will have leapt from this report’s pages. Migration from the rest of Europe brings a big benefit to the British Exchequer. Migration from the rest of the world, which outnumbers European Economic Area migration, is a substantial cost. A small chart we printed illustrated this. The average contribution to UK public finances of migrants from the EEA in 2016/17 was £2,310. The equivalent for migrants from the rest of the world was minus £840. The equivalent for British adults overall was minus £70. Many will find these figures startling. 53,000 in 2016, or a quarter of all non-EU immigration that year. These people are not lazy but have mostly come here for family reasons rather than to work. Many will be economically inactive and many will be poor. For cultural and religious reasons they will tend to keep themselves apart from the rest of Britain but be a charge upon the state. “Family reunion” has not proved a catch-up exercise in reuniting recent immigrants with those they’d left behind, but instead a cultural pattern and permanent route for the importation of new partners to marry. Lots of other people in Britain don’t like this, they really don’t, and as a liberal who’s personally rather relaxed about such diversity, I nevertheless despair of persuading millions of my fellow citizens otherwise. Their resentment, I believe, has bled into their resentments about Europe and “control”, but its roots do not lie among Polish plumbers. Note that Ukip’s inflammatory poster during the referendum campaign managed to picture a line of brown people marching towards us. Ask yourself whether that poster would have done its nasty job so well if those people had been the only people Brexit could exclude: EUROPEAN WHITE PEOPLE? Other EU leaders are belatedly waking up to the threat these resentments pose to their political leaderships. Instead of banging on about “Europe” British politicians should do the same. Denmark now excludes applicants for “family reunion” if the applicant lacks an advanced level knowledge of Danish; hasn’t had at least five years’ education there; and hasn’t been employed in Denmark for at least five years. To be admitted you must have been employed full-time for at least three of the past five years; speak reasonable English or elementary Danish; had at least a year’s education at a level comparable to Danish higher education or a trade school; and have savings of about £12,000. Partners from abroad must be 24 or over. UK rules are in almost every respect far less demanding — and partners need only be 18. Something is up in many parts of our continent’s politics. We must not shy from these truths. In a strange and indirect way, Theresa May’s little upset in Salzburg was a product of strong antipathies among the public that a democrat should not ignore. Mock her ham-fistedness. Rage against her fellow leaders’ clumsy discourtesies. But replace every one of them with paragons of intellect, empathy and ingenuity, and you still have a problem: IMMIGRATION IS PART OF IT. The Guardian reporter Amelia Gentleman was named the journalist of the year at the Press Gazette awards in London for her work on the Windrush Scandal.